Twelve is a year-long volunteering program for Jewish girls who have reached the age of Bat Mitzvah. It’s a dynamic program that fosters a strong social conscience, empathy and awareness of disadvantaged groups in the community and the organisations that support them. Letters in the name ‘Twelve’ come together in the logo to form a stylised Star of David, representing wholeness and inclusiveness. Pink and plum colours give a vibrant, feminine feel that is soft, gentle and respectful. 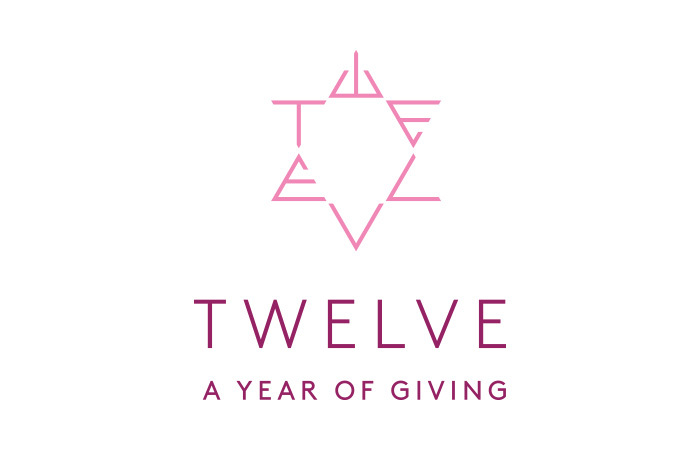 Absolutely loved your logo design for my new youth volunteering program, Twelve. Clever, modern and fresh design that conveys all the key messages to our target market.